Situated on the corner of Colindale Avenue, and just half a mile from Edgware Road in North London, The Chandos Arms in Colindale is a gorgeous traditional English pub with Tudor style black beams and white window frames. 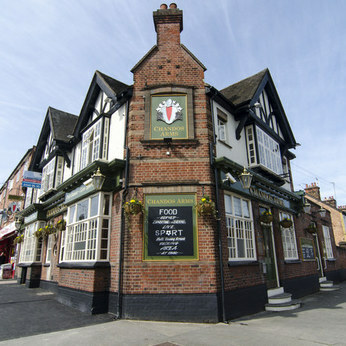 We offer a simple traditional pub menu with a modern twist at affordable prices! Look out for weekly specials, delicious puddings and our fantastic Sunday Roast. We also have a superb wine list, cask ales and premium spirits that will compliment your dining experience at one of North London's most beautiful pubs. The Morning Advertiser has announced the finalists of the John Smith's Great British Pub Awards 2018, and you are looking at one of the fantastic nominees!